Total Control and Worldwide Reach. 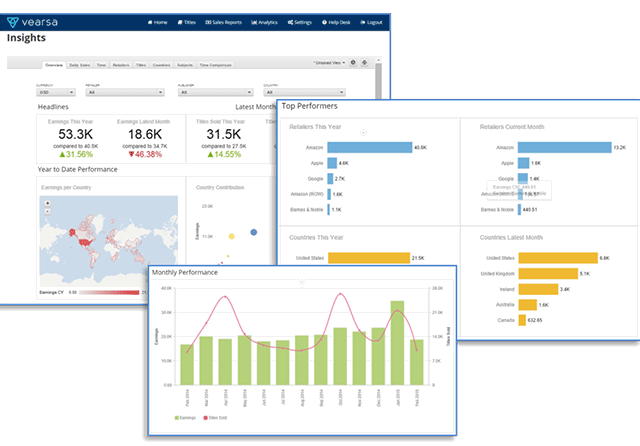 That means unrivaled global distribution, consolidated sales reports and a cutting-edge analytics platform. We handle the complexities of warehousing, managing, and distributing your digital content to over 1,000 international stores – and growing. With direct access to traditional online retailers but also discovery and subscription channels and more than 65,000 libraries, it’s never been easier to make your titles available all over the world. Publishers who use Vearsa not only increase visibility and exposure for their titles, but they grow their sales by at least 15% per year. Reduce your dependence on market leaders and broaden your revenue base by accessing niche and long tail eBook stores. Within 24 hours your titles will be available all around the world. 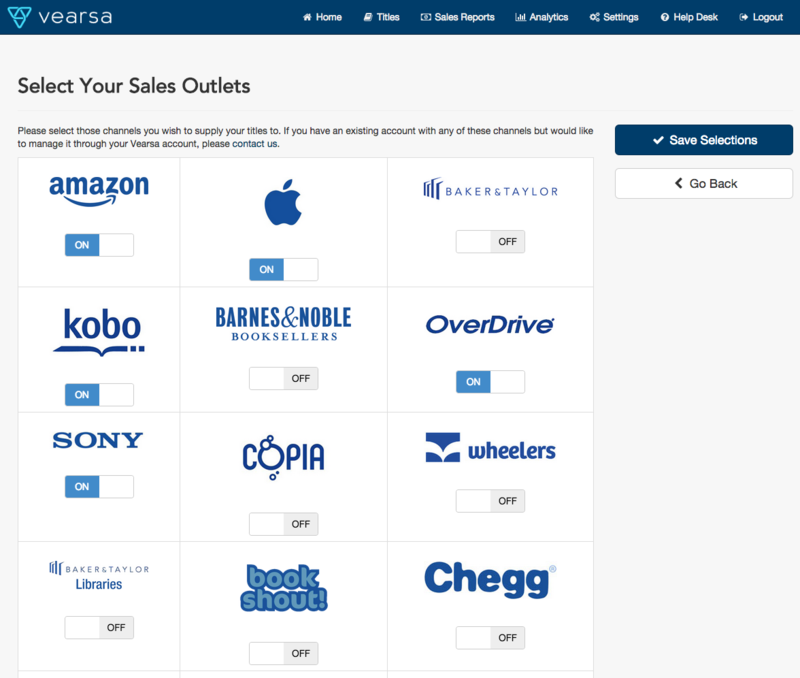 The Vearsa Distribution platform is flexible, intuitive, and built from the ground up specifically for eBooks in collaboration with hundreds of publishers. We handle the complexities of warehousing, managing, and distributing your digital content, as well as billing and administration. You’ll save up to 40% on your current eBook management workload—and have personal access to our world-class support team and a robust online helpdesk. Pick and choose your sales channels and view your performance on a daily basis. Want to send specific content or price promote with a specific retailer? No problem. 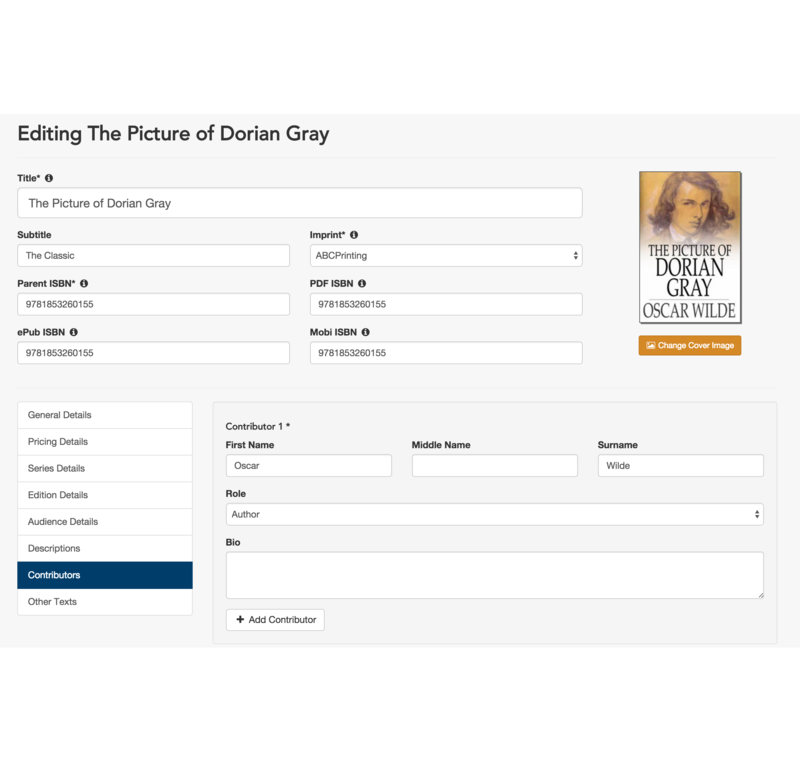 You can choose to distribute specific books for specific time periods. 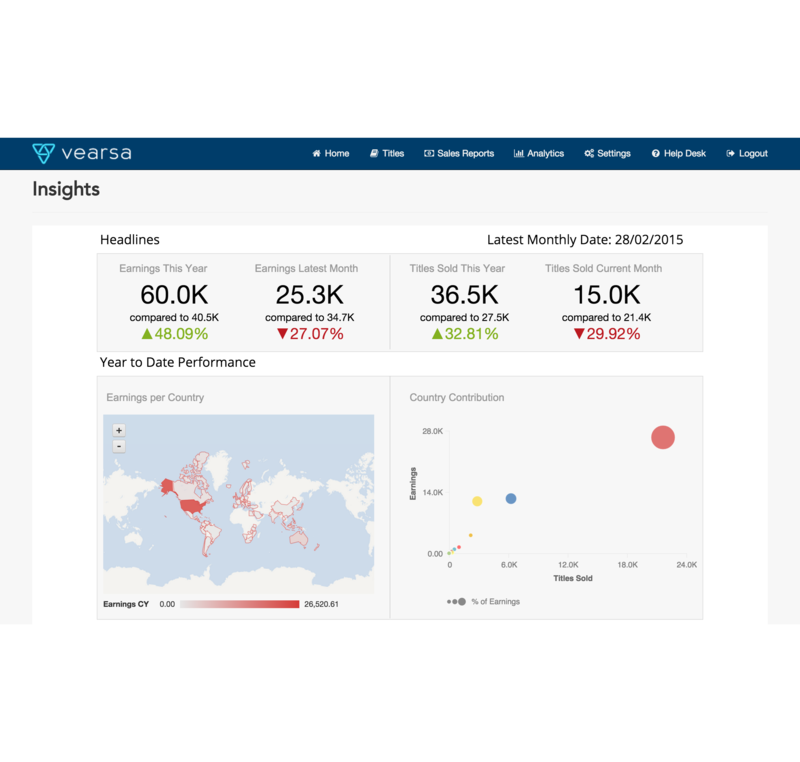 Vearsa Distribution collects all your sales reports, consolidates and crunches them, giving you complete, real-time visibility on your performance. This allows you to revise your strategy immediately if the results were not what you expected. No more waiting weeks to change direction. Want to see all of your sales data in one place? Vearsa Analytics allows you to view all of your titles’ performance on one screen. Track a title’s performance month-on-month, identifying movers and the impact of sales and marketing on revenue. How are you titles performing in Europe? One click. How did Kobo do with that latest new release? One click. How is the retailer mix changing over time? One click. All this and plenty more! 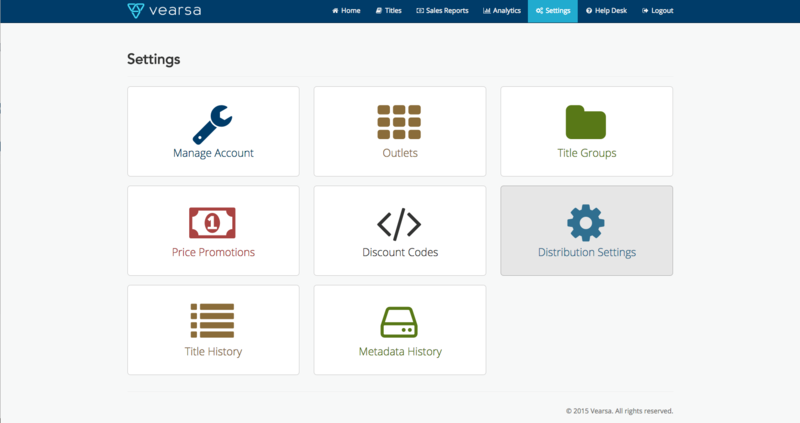 Your Vearsa account provides you with a secure data warehouse for your titles. 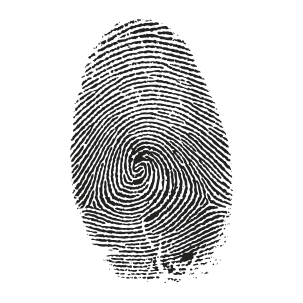 We use the latest technology to keep your copyrighted material safe and sound. If you run a business and want a professional first point of contact or just need a hand with some of the day to day business tasks because things are getting a bit busy, then we can help.